My life is no longer quite so French as it was. Exit croissants, baguettes and warm goats cheese salads. These days I seem to be mostly eating granary toast with marmalade, bacon (admittedly the streaky, French version which is distressingly inferior) sandwiches with ketchup or HP sauce, or tucking into a nice piece of mature cheddar with some Branston pickle. On my last trip to Yorkshire, I returned with a suitcase bulging with the best that Tesco had to offer. Including 240 teabags. Exit French cable TV, which for a princely sum currently offers only one decent programme in English per week (Desperate Housewives, at long last), and enter slightly illegal Sky TV at the weekends, so that I can indulge my fondness for BBC2 comedy or Channel 4 drama. And regale Tadpole with such delights as Bob the Builder in version originale. She now squawks “Can we fix eet?” every time she spies a digger. It feels like by leaving Mr Frog for my English Lover, I have taken one more step away from my original aim: becoming “almost French”. 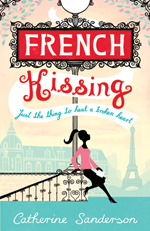 I wrote last year about how my initial enthusiasm for all things French, which had begun in my first French lesson at Mill Mount Grammar School for girls at the age of 11, and culminated in my moving to Paris in September 1995, had started to wane perceptibly. Where once I had watched indiscriminately whatever was broadcast on French terrestrial TV to “improve my French”, read only French novels and eaten only French food, as a matter of principle, I suddenly found myself yearning for English language and culture. Clearly I was experiencing withdrawal symptoms. It was time, I decided, to cut myself some slack. Living in France didn’t have to mean total assimilation, and indeed, if I didn’t watch out, my mother tongue would ultimately suffer. “Target language deprivation,” as a commenter helpfully pointed out, is a very real phenomenon, and can result in expats speaking a dreadful bastardised version of their mother tongue after a few years away from the mothership. To combat this, I signed up for cable TV and bought English books from W H Smiths. And binged on English culture. I even watched Eastenders religiously for a number of years, although, thankfully, I have now managed to kick that unfortunate habit. The next step was changing my job, and I swapped a Franco-French office where I had never really felt anyone knew the “real me” for an English company where two thirds of the staff were British, and we all went for beers on Fridays. Despite all this, at the end of the day, I still came home to a French partner, and socialised with his French friends. Nowadays all that has changed, and I am faced with the delightful prospect of renovating a crumbling farmhouse, with a huge satellite dish perched atop the roof, greedily hoovering English television from the airwaves, in the British enclave that is Brittany. Eating English breakfasts with my English Lover, and washing it all down with cup upon cup of PG tips. Somehow, if I ever do get my papers together and apply for French nationality, I rather think the fonctionnaires will laugh in my English face. A friend of mine used to say ‘change is the only constant’. I think she had a point. I’ve been going through a similar thing over the past few years, including in my case a spell living back in the UK after 7 years in France. I came back a more authentic and updated version of myself. I still have my French husband and no plans to change that, but I am now happy and unembarrassed about doing certain things my English way, rather than trying too hard to integrate (hate that word) by doing everything their way. Vive Typhoo with croissants, I say! Don’t watch Eastenders it will send you mad. And I thought your english voice was ace – much better than some of the people that actually live here fulltime. I mean – maybe it was just me – but Norfolk accents are so strange – even I wasn’t sure what he was saying half the time. andré – between you and me, if it hadn’t been for my babelfish, I wouldn’t have understood a word either..
As a Norfolk dumpling (now living in France)I have to agree that the Norfolk accent IS strange – and also very difficult to imitate for non-Norfolk folk. As it is virtually incomprehensible to others at times, I try to ‘speak properly’ but I find myself easily slipping into it when I talk to my sister on the phone! As for English food, yes, we DO miss custard, porridge, Branston, cheddar and English breakfast tea etc. but are not ashamed of stocking up when friends come over. We also appreciate so much that is French so why not make the most of both cultures? As for you, Petite, I think LOVE is affecting your view of all things French/English ‘an thas nuthin wrong wi tha’ gal. Good on ya!!! Petite – you inspired me: have just had a cheddar and branston pickle sandwich for lunch – yum! Followed by about half a bar of fruit and nut. I just meant to say that I was being much more French when with Mr Frog, and now I’m with a Brit, my English side is being given free rein. Which is only to be expected. And as a by-product, I have to say Tadpole’s English is coming along rather well. I think when you move to a new country/culture you tend to absorb the good bits and leave the bad bits. And that’s how it should be. It makes you a more complete person. I’ve had two of my Irish friends, independently, in the last year say they had forgotten I wasn’t Irish. Not because I sound Irish, I steadfastly don’t, but because I had absorbed those bits of Irishness that they like about themselves, while hopefully leaving behind those bits that they don’t like. So perhaps those fonctionnaires won’t laugh in your face, they might find you represent everything that is good about France. And by the way, has anyone else caught themselves speaking English with a French accent after being immersed in France for a period of time? I’ve noticed after a trip to France I have this tendency to sound like the French taunter in “Monty Python and the Holy Grail” where even my Americanized English has a French twist. C’est bizaare, non? Don’t. I apparently speak to Tadpole in English, but using my French mouth. Arrgh. Is that for the American ‘sound like a Pirate’ day? but why is Sky TV ‘slightly illegal’? Are you poaching it off of your neighbor’s dish? So ten years in France is enough? I still would like to try it. Ahem – just don’t stray too far into my market with this new countryside stuff, OK??? I presume petite is picking up the Sky feed meant for the UK, but which actually can be received as far as Rome (admittedly with a gigantic dish). The necessary dish size in the North of France is quite reasonable though – which explains why so many expats have Sky in France. Sky TV is probably more immoral than illegal, but it’s the only way to get cricket over here. You’re not supposed to have it outside the UK or Eire, something to do with broadcast rights for sport/films, etc. ‘Bout blooming time they sorted it out and let everyone have the telly they want throughout Europe. Er, I think. It seems that there is a fairly common pattern of initial immersion followed by a compensatory reversion to original culture, ending up in some kind of equilibrium. I’ve been here 14 years and with renovations (gulp!) and other *ahem* joint ventures ahoy, I don’t think I’ll be returning to live in Blighty anytime soon. Power tools are just as frightening in any language. Like Ian and a lot of expats, I went through this total immersion in French and France phase, then gradually changed for a more balanced blend of both. I always did think that your quest for French nationality was rather strange for someone who watched East Enders every night. Well, now that you’re no longer with Mr. Frog, why stay in France? Do you really like Brittany that much? Wouldn’t Shropshire be nicer? English breakfasts in France. That’ll show ’em. Them and their Coquille thingies. I was the same, Parkin Pig — now I’m not ashamed to send my toddler to the Halte Garderie with peanut butter sandwiches, I don’t care what those twits have to say about it! I have a Scottish friend who married an American woman, and who have settled in Glasgow. She has adjusted nicely to her new life, works in a good job, Just hadtheir first baby, but she still yearns for those things that she can only seem to get when she goes back to Milwaukee to visit her family. She say she can’t find a decent hamburger come hell or high water, and nobody there seems to know how to barbecue correctly. (She has family from Kansas City, so I understand what she means.) While she can get American programing, she misses going to the diner that was just down the block from her home, ( for an American breakfat that was originally English) and most of all, misses pancakes and waffles with real maple syrup. I remember back in 2000 when they visited my wife and I here in Rochester. (Her brother was getting married here.) They stayed with us for a few days, and we introduced my friend to real maple syrup, of which he had never tasted growing up in Alva. She was eccstatic, he was in bliss, and now whenever they visit back in Milwaukee, they bring back lots of the stuff. Oh, btw Petite, I can get PG Tips here, and that along with Typhoo, is the only tea I drink. It can be expensive, so to save money, we take the hour and twenty minute trip just over the Canadian border and get it for half the price…….and bring back about 6 months worth………;-) I used to hate tea growing up, until a friend introduced me to PG Tips in college…….I then realized what real tea tastes like! nardac – I’m not sure what the deal would be about leaving France (if we’d been married, I wouldn’t even be allowed to take Tadpole out of the country) but in any case I don’t have any desire to, and Tadpole needs her dad reasonably nearby, as do Lover’s kids. Parkin Pig – I have paid my taxes here all my working life and will put my child through the French school system etc. so the original logic stands, I want to vote! My situation is different. I was raised in the US, but love the UK. I meet so many expats throughout Europe who are originally from the UK who want to know how my children and I can love London. They seem so negative about the UK, but I suppose I can be that way about the US sometimes. My American friends think anything English is “stuffy.” Two of my best English friends married Americans and promptly moved to a small town (the same one, believe it or not!) in the US. There are things about the US they don’t like, but they don’t want to go back to the UK. Another close friend, an Oxford scholar, couldn’t wait to marry his American girlfriend so he could buy a farm in the US. He tried to talk us out of living in London. My husband is one of those people who has lived in country after country, so he doesn’t feel rooted in any one country. Though I would say he is more English/American than anything else. As an European you have the possibility to vote at local and European elections. I am French and have been living in London for more than 6 years now, definitively vote at the elections I can, am member of the LibDem party and will be candidate for a council seat next spring at the council election. However I will always (I think) feel concern with France. Whether it’s Sarkozy or DSK or Jospin or Mr Bins or whoever elected is important to me. I felt so ashame when Le Pen was at the second round of last presidential election. And I felt concern with the political debate about Europe last May. I always vote for French elections. vonric: I would say that the concern with taking another nationality = voting rights ONLY if you are from one European country taking the nationality of another EU country. I’m an American who is in the process of obtaining French citizenship, not for voting purposes (or, rather, not ONLY for voting purposes) but for EU “rights”. In other words, with permanent residence status in France I can live and work in France, but only France. With French citizenship, on the other hand, I can (like all Europeans) live and work legally in any of the 25 EU countries. I’m not sure that I’ll ever want to leave France, but it’s nice to know that I can move to another EU country if I want to one day. But, I too (like you!) am very interested in French politics…and was STUNNED at your last elections. How I wish I could have voted then…but I suppose it wouldn’t have made a difference, unfortunately. ONLY 240 tea bags! When I spend a weekend in Paris, I take a minimum of 6 ‘sachets de thé d’urgence’ and I still dip into the MIL’s stockpile. I do understand that English tea (strong, with milk and boiling water – my French other half did not know how to boil the kettle until I stamped my foot!) is an acquired taste, but surely you will need more than 240 to last you until Christmas, when I assume will be the next injection. Tea acquired in France is just not as good nor as ‘bon marche’ as good ol’ Blighty’s tea. I raise my teacup to you! Francaise de Coeur> oh yes of course I mean ONLY advantage when you are ALREADY a EU citizen. That’s what it is so good with Europe : so much diversity and still so simple for moving inside. Last night I seemed to spend the entire night dreaming about you and other bloggers…this was only because I was up until 2am reading your blog and all the links to the other blogs (after the blog meet) and in it you had a face (obviously I have no clue what you look like but it wasn’t unflattering…) and I dreamt you were bouncing around telling all and sundry you’d had enough of the Frogs and were heading home….odd dream. I hope you don’t…i need my daily petite fix! So I spend my days being half the man I really am. I cannot bond with Aussie males as I don’t enjoy neither cricket nor rugby nor wine full of preservatives (OK, I do make an effort with the wine). The hardest thing I find is not being able to express my sense of humour the way I would in French. Missing punchlines is also bad. All this with no French accent whatsoever (I sound South African more than French when I speak English) and what I would call 99% bilingual. I can only sympathise and understand where you’re coming from, P.A. But consider yourself lucky to be so close to your birthplace. Petite, I’m jealous, the renovations etc sound like so much fun!!!!! hi petite, long time lurker, first time commenter. am going through almost the same thing at the mo – hell, even blogging mostly in german these days after almost 7 years in oz and 2 years in blighty (and yes, norfolkian was one of those accents i just couldn’t understand back then ;-) ). a lot of what you write about rings a bell. these days i’m actively seeking out german films, tv shows etc., and even when they almost invariably turn out to be as crap as i remembered them, at least it’s “my” crap. i reckon jim and dave are on the money – the pendulum of cultural self-identification (ahem) will swing back and forth and eventually (hopefully) some kind of equilibrium will be attained. Ah Petite. We’re all Europeans now. British, French, German. . . ultimately what does it matter if you develop a passion for the Flamenco and start dreaming in Danish. I guess I’m not a typical expat. I eat and enjoy whichever food is available to me, read books and magazines from the country I’m in, and watch little TV but definitely don’t go out of my way to find anything from home. I even speak on the Internet nearly exclusively in English (my first language is French). The last time my parents came to visit I had trouble thinking of food they should bring. I enjoy French food when it’s there, but I’m not bothered if it’s not. 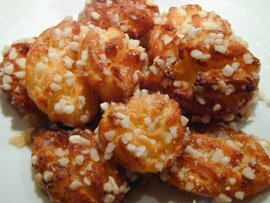 The only thing I was really looking forward to were the chouquettes, but they forgot to bring them! Never mind. I’ll have some next year. Sorry if I’m going to start a riot … but having started life in central Europe, and then moved to the UK … food has a lot to be desired. Don’t get me wrong, I love French food. Adore it. But my love of English food is tinged with nostalgia for home and childhood… (And often doesn’t live up to my rose tinted expectations when I actually get round to eating it). I was just curious… usually when I spot this kind of intense nostalgia, it seems logical that the person should be their own country. However, food and television are suitable balms for the never-healing wound of homesickness that an expat lives, every day. I also think that living in the world that we do, where people sometimes move countries three for four times in their life (like me), the world ceases to just be french/english, but just another experience to be lived. Young people of a certain cultural domain share more in common than they would with those in their native countries who aren’t involved in the same domain. The way things in Vice or I.D. magazine are ultimately part of the same vein of blood that runs through all us kids. food and television are suitable balms for the never-healing wound of homesickness that an expat lives, every day. teebee – I have a blog. And I’d have you tears… of envy! 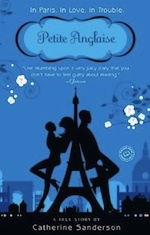 And if you read it, you’d know my life in Paris rocks and je ne regrette rien. But I’m no fool. You’ll always miss something.